Sometimes it hard to keep blog posts going. We work and work and the idea of presenting material that is more a reflection of this work gets left out and left behind. I do sense the obligation to maintain the flow of my intellectual journey further and with my last post I had only reported to the middle of 2015. What follows is a very quick version of what has occurred in 2015 and I will present a follow-up post in 2016 to catch up to late July 2016 as soon as I can get a free moment. 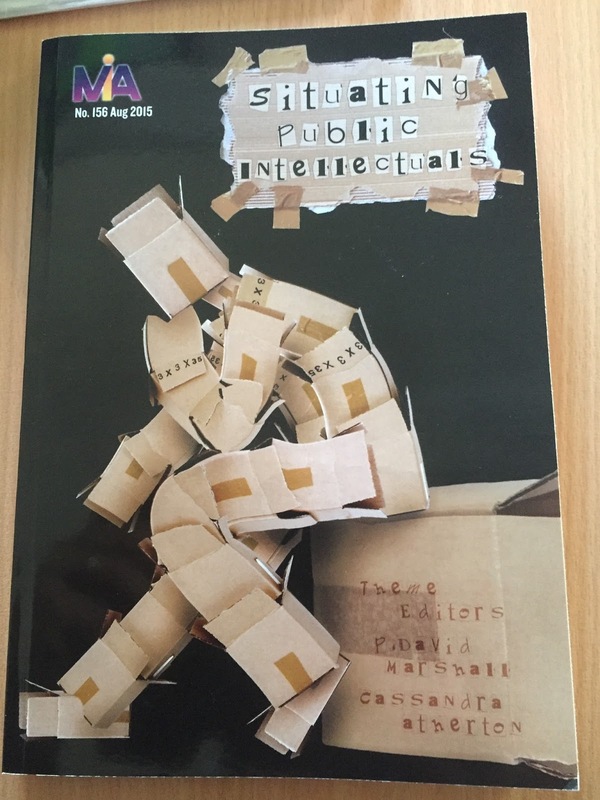 Jason Karlin organised an incredible summer school at the University of Tokyo as part of their Interfaculty Initiative in the Information Studies Graduate School of the University of Tokyo entitled Mediated Worlds: Sociality, Publicness and Celebrity. I presented my Keynote address and later participated in some follow-up workshops with some leading early career scholars in the area from around the world as well as other distinguished speakers. The title of my own talk was:The Era of Persona: The Personalization Complex, Celebrity, and our transforming public culture. 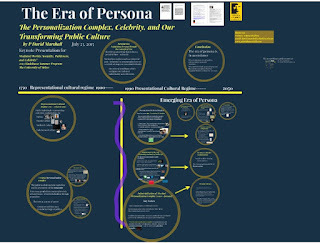 I attempted to explore the personalization complex in the era of persona and how this has expanded over the last two centuries but intensified in the last 20 years. It was a wonderful event. And it allowed me to expand on the political implications that persona studies reveals in its development in the era of online culture and how they are informed in a transformation of identity from a representational cultural regime to a presentational cultural regime. 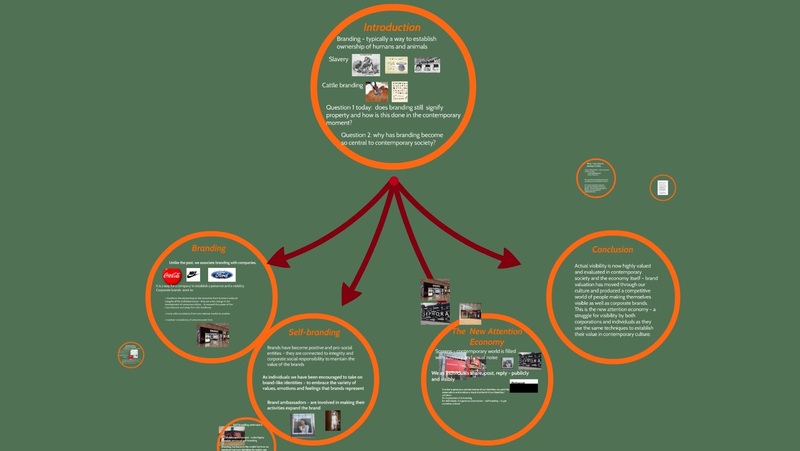 I hope you might have time to explore the prezi further and the link to the presentation which is publicly available is here. Tokyo was equally breathtaking and beautifully organised and my hosts ensured that all participants had an opportunity to explore the interesting and unique celebrity culture of Japan and Tokyo itself. As part of my work as Distinguished Foreign expert status at Central China Normal University, I organised for one further week in September 2015 and one major public lecture in the School of Journalism and Communication. In September I presented: Branding, Self-branding and the New Attention Economy and I managed to explicate the strange development from the era of slaves and cattle proprietorship, through the period of the gradual monetization and scaling of value in branding in corporate cultures in the late 20th century, to an attention-economy expansion into normalized self-branding in the 21st century. I hope my guests gained something from the experience. It was a useful intellectual foray for myself so that the idea of persona could be juxtaposed beside the critical consumer cultural studies approach to self-branding. In later posts, I will attempt to provide some video space that tries to in short versions go through the new lexicon of terms that I have been developing through persona studies to explain the contemporary persona. 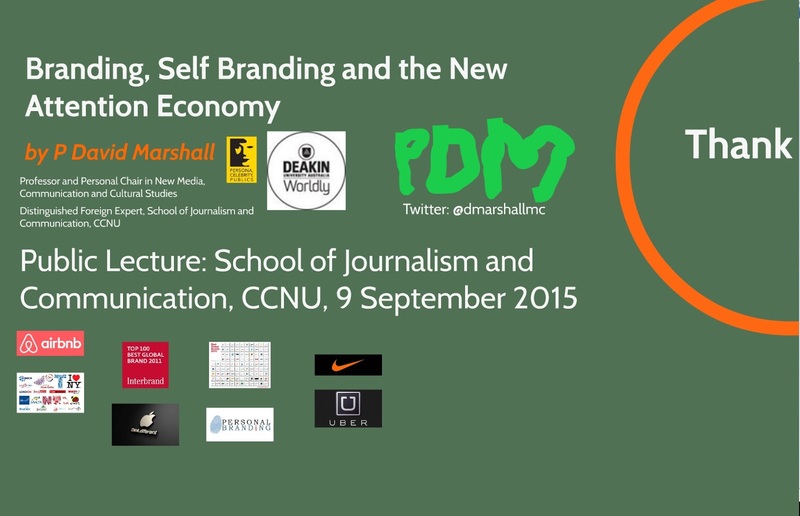 Until I get there, here is the link to this branding- self branding prezi. Public Intellectuals - which public intellectuals? In late July, I also organised with Cassandra Atherton a symposium that was connected to our original research on public intellectuals that we had just published in Media International Australia which just happened to produce the best cover for a journal I have ever seen - as you can see. We expanded on that work with the New Popularizing Knowledge Matrix Symposium at Deakin University on the 31st of July. I presented: We need to Talk about Ted: Understanding Popular Intellectual Culture which investigated the patterns and meanings generated by the successful Ted Talks as they have proliferated throughout the world for more than twenty years. 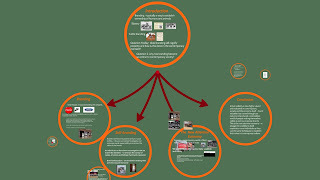 Here you can take a look at the presented prezi I gave for that talk. Brigitte Weingart organised perhaps the most ambitious international lecture series at the University of Cologne's Department of Media and Culture on Mega-Stars/Micro- Celebrities: media Cultures of Famousness. I was honoured to be included in the series which ran from late 2015 well into 2016. It was for this event that I began to develop in a more serious way how agency is implicated in the developing dimensions of the era of persona. My talk - and the prezi is here - was called Understanding Contemporary Agency: Persona, the public self, and online culture and I presented the organisation of the public self as a particular form of individualized agency. I relied at least obliquely on Latour and the way in which agency is implicated in the visibility of social actions and transformation in particular; but more widely I was developing the complexity with which modern online and pervasive public personas are an emerging form of agent and cannot be easily reduced to the subject quality of previous political economic thinking about the commodification of the self. The questions and responses to the work were engaging and I thank the students and faculty at the University of Cologne. I followed up my talk with a workshop hosted and sponsored by the International College and Institute Morphomata entitled The Challenge of Method in Celebrity Studies. Along with fellow panelists Professor Brigitte Weingart and Hanjo Berressem, Professor of American Literature and Culture and room full of intrigued scholars, we debated the way in which method was implicated in the production of the study of celebrity. This event followed by the wonderful book launch of A Companion to Celebrity by myself and Sean Redmond. 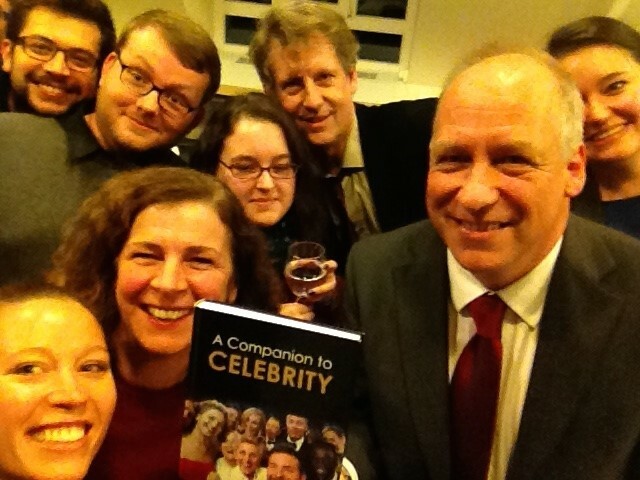 As you can see, we tried to replicate the most famous "selfie" from the 2014 Academy Awards event and now the great cover of our book! The book itself gathers together the best scholars in the world who deal with the many aspects of celebrity culture. 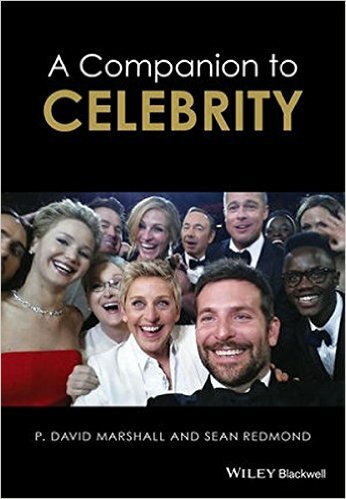 Divided into 8 sections and 27 chapters it is the definitive book in the study of celebrity culture - from its genealogy to its politics, , it value, its formation of identity and identification, its related technologies, its constitution of emotion and its form of embodiment. Just 557 pages in length, I hope you have the chance to pore over its many insights. So, 2015 was an incredible year of engagement with scholars around the world. All of these public addresses, keynotes and workshops gave me an opportunity few have. I had people listening to my ideas, my new ideas. The experience was very rewarding as various students and scholars challenged my approaches, extended my ideas into directions I hadn't imagined and generally became part of what was a small element of the collective mind of intellectual life. It may not be equivalent to the Collective Mind that Levy has proffered in his writing; it was probably much closer to what Hartley has described as "deme" culture. I will explore these peculiar and particular types of micro-publics in future posts. It also gave me a chance to observe the differentiated cityscapes internationally. Thank you to all my hosts and guides. I hope I can reciprocate. PDM - you are pioneering a new format: the annual blog post. Keep your readers tingling in anticipation. Thanks Richard. I like to innovate! Keep in touch.